No matter what the shape of your land, a dwelling can be designed to fit it. 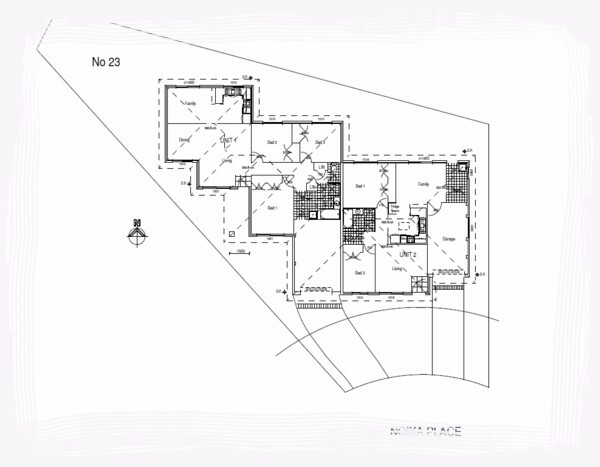 One of the great advantages of having "in house drafting" is that Kalana Homes can take your ideas, combine them with councils regulations and come up with a design to suit land, that is not a regular rectangular lot. Designing a dwelling to follow the boundaries of the land is effecient use of the land, allowing for a larger house than would otherwise be possible.